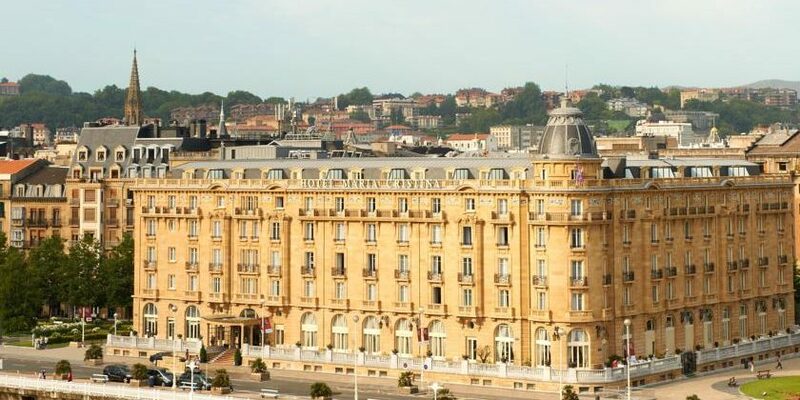 The Hotel María Cristina of San Sebastián was opened in the early twentieth century, at a time of splendor of the bourgeois classes in the Basque Country. Nowadays it still remains a benchmark as far as luxury accommodation is concerned accepting, year after year, the most demanding guests, among which are many of the stars who come to each of the editions of the San Sebastián Film Festival. The Hotel was built in 1912 as part of a plan created by the Sociedad de Fomento de San Sebastián, a private institution born in 1902 with the aim of revitalizing the capital of Guipúzcoa and place it as one of the cities with greatest tourist attractions for a increasing bourgeoisie in Spain and Europe. To achieve these objectives, the decision was made to endow San Sebastián a theater and a luxury hotel that followed the French style architectural trends that have been implemented so far in the rest of the city. 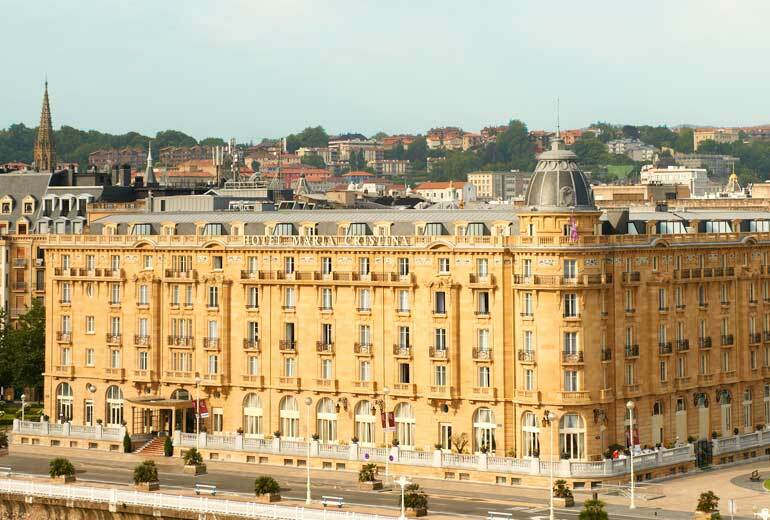 Thus both buildings, the Victoria Eugenia Theatre and the Hotel María Cristina, rose over the same space –the urban of Zurriola located in from of the river Urumea–, playing a leading role in the social and cultural life of San Sebastián and turning its location into a unique monumental and landscape ensemble in Euskadi. If there was a year, in addition to the year of its inauguration, which marked a before and after in the hotel was 1953, in the first edition of the San Sebastián Film Festival. Since then hundreds of renowned artists from different disciplines as Steven Spielberg, Alfred Hitchcock, Mick Jagger, Elizabeth Taylor or Audrey Hepburn have stayed in this hotel. 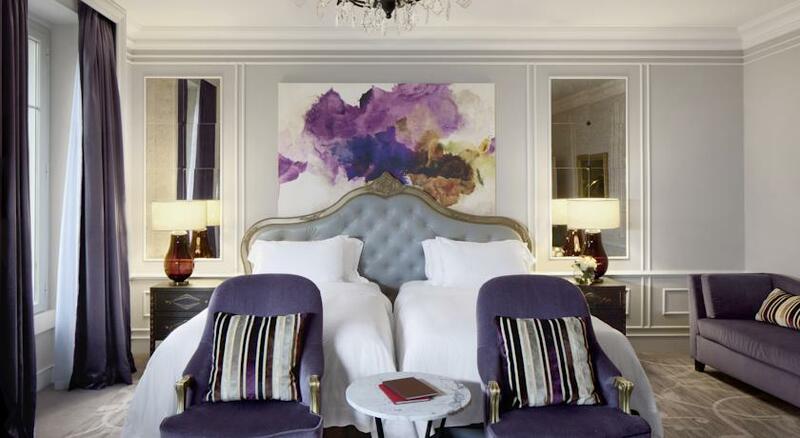 This five star hotel has a total of 136 rooms and 28 luxury suites which maintain the original style of the building, with a decor that takes us back to the Belle Époque San Sebastián. The rooms are divided into six groups according to the preferences of its guests. Thus, there are rooms overlooking the garden; Deluxe and Premier rooms with views of the garden or the river and more spacious than the first; Junior suites, which are more spacious than the rooms and have spectacular views of the river Urumea; Simple suites, with more square meters than the Junior ones; Terrace suites, which have an impressive furnished terrace overlooking the entire city; the Bette Davis suite, named and decorated in honor of the iconic actress who aroused the sympathy of the staff in one of her last appearances at the San Sebastián Film Festival 1989; and Royal suites, which are fully equipped with the best furniture and have a large bathroom with exclusive toiletries provided with Loewe products. The hotel also has a fitness center, a business center provided with computers and reprographic machinery, a gourmet shop where you can purchase one of the typical Basque delicatessen and a gastronomic center with its own winery in which it is possible to discover different cooking techniques as the development of pintxos or filleting of ham through custom classes. The hotel offers three dining options from which guests can choose according to what their preferences are. On the one hand, there is the called Dry San Sebastián bar, whose English-style decor include photographs of some of the most famous people who have stayed in the hotel on the occasion of their visit to the San Sebastian Film Festival. The bar offers in their letter a selection of tempting cocktails and spirits, as well as a variety of tapas and snacks which can be accompanied by a tea. For lovers of the Asian cuisine, there is the Café Saignon, a space overlooking the Victoria Eugenia theater which is weel suited for meetings of both guests and any other visitor in San Sebastian. In its menu there are flavors from Japan, Vietnam and Indochina among other places. 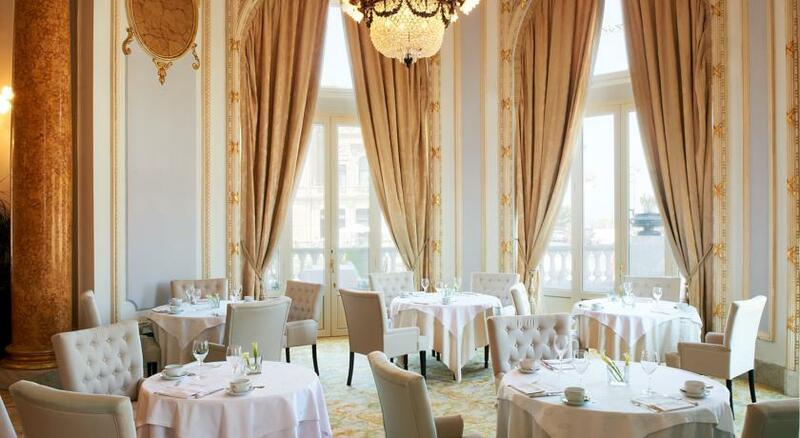 Finally, for those looking for a space of Parisian style, the hotel features the impressive Restaurant Easo. Lit with natural light, the most prominent gastronomic space of the hotel combines an elegant Belle Époque decor with breathtaking views of the Urumea River and Victoria Eugenia Theatre Square, a bohemian atmosphere that guests can enjoy while they taste some of their delicious recipes prepared from fresh products of the highest quality.